Accessibility: Employees of companies using cloud storage services are not limited by the location they are in. Since data stored in the cloud can be accessed from anywhere and everywhere, employees too can work from any location they want, thus making it easier to hire remote workers. This ensures greater flexibility which in turn leads to greater productivity. Costs less: It is a known fact that servers are expensive to buy, to maintain and to run. But with cloud storage the only expense involved is by way of the monthly fee which, compared to the hardware and maintenance costs of the server, is indeed quite less. Easy recovery of data: Data recovery in instances of a hardware disaster in the office also becomes easy when cloud storage is used. In fact it is only the hardware that needs to be repaired or replaced. Data which forms the crux of every company remains undamaged in all such instances. 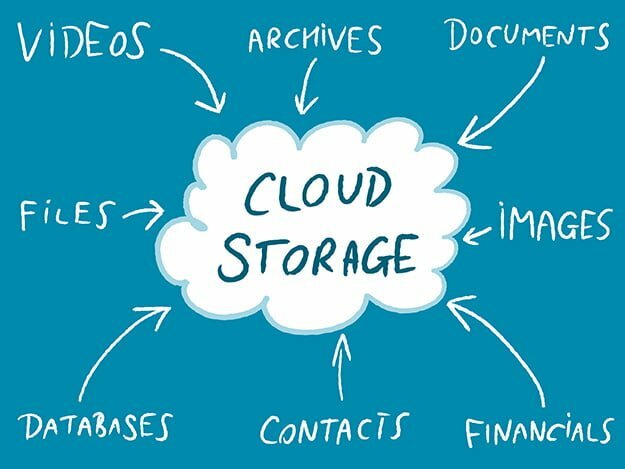 Flexibility of data: In case of a shift of the office premises of a company, the procedure becomes much easier with cloud storage. In fact companies using cloud storage just need to unplug their devices from one place and plug it into another and start working immediately. This saves both time and energy and also ensures that there is no loss of business or the clients of the company do not suffer due to the shift. Security: Cyber crime has become a major threat to almost all companies working with the internet. And the protection offered by these companies individually might not be enough to safeguard against this threat. Online cloud storage services, on the other hand, have the bandwidth to ensure round the clock surveillance for any kind of cyber threat. They also offer several layers of security protocols which can be quite difficult to breach thereby ensuring that client data is offered the highest level of security. Hybrid clouds, which as the name suggests, incorporates features of both private and public cloud storage. There is also something known as the mobile or personal cloud storage which is a subset of the public cloud storage. It refers to the storage of an individual’s data in a cloud thereby enabling him to access it, sync it and share it from anywhere and across multiple devices. Cloud data storage is a futuristic concept, one that is rapidly becoming popular with both small companies and big corporations. With cost-cutting and curbs on office expenditure a common feature across companies, cloud storage offers an excellent alternative.